Umbrella, Shelter, Gazebo - you choose. 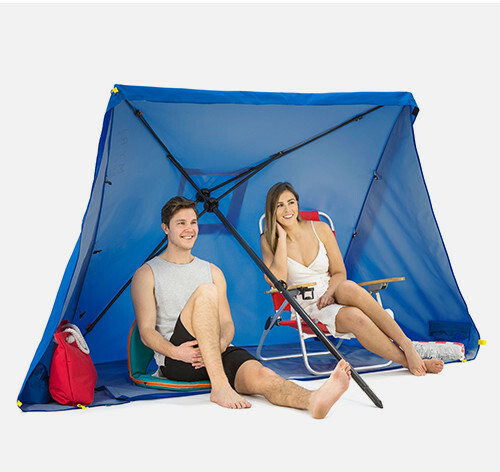 The revolutionary Myri Shelter gives you many options for your outdoor adventures, converting from a 6ft umbrella to a gazebo to a sun shelter, all in a compact carry bag. Perfect for whatever your family needs. This canopy is not fireproof. Application of any foreign substance to the fabric may render the flame-resistant properties ineffective. 12 months warranty from date of purchase. Please retain receipt for proof of purchase. See the product warranty page for more info.